Relief supplies being sorted.The floods in Kerala have touched the hearts of everyone in India. Do we need to introduce politics of party and communalism in it? KERALA, THE MOST LITERATE state in India has experienced its worst calamity in over 100 years. And India responded with full sympathy in rushing aid to the state. Heavy rains and floods have killed hundreds of people and displaced lakhs of them. Rehabilitating the affected people is a herculean task. The entire nation and even Indians living abroad – Kerala has a very large number of them – are contributing generously to the relief and rehabilitation work in Kerala. But then came relief politics. Rescue, relief and rehabilitation — the three Rs of disaster management– were pushed into the background in the state that was always first in India in the “3Rs” of education – reading writing and arithmetic (popular as ‘3 Rs’ though only one of them starts with an R). 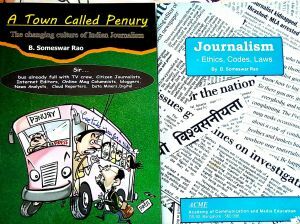 It started with someone posting on WhatsApp and other social media pictures of workers of Seva Bharati, the RSS disaster management wing, engaged in rescue and relief work in the troubled state, with a request to forward the posts to others as “the paid-news presstitutes” of mainstream media would not let the world know of their contribution. The posts vent viral. This has obviously irked the Congress and its “comrades” of the Communist Party of India and the CPI Marxist who rule the state. They countered it with posts denigrating the RSS group’s work. Very few know that Seva Bharati has been doing commendable relief work in every disaster-struck area in the country without any publicity. In my forays into social work I was involved in disaster management after the earthquake in Latur and have seen the quiet, self-less service of Seva Bharati volunteers. This time someone wanted to publicise it and the anti-BJP parties thought politics was more important than relief and that this was a good stick to beat the BJP-led coalition in power at the Centre. The Central government announced an advance assistance of Rs 600 crores while the state demanded several times that amount. The state also announced that the United Arab Emirates announced an aid of Rs 700 crores. Media persons searching for some reason to criticise the Centre took it up as a big issue. A news channel host, always at the forefront of this brigade, made it a big issue, saying the Centre was giving less that the aid offered by UAE which was not being accepted by the BJP rulers. To the embarrassment of that loudmouthed anchor, the UAE ambassador in India made an announcement that officially no amount of aid was decided on and that the Centre had thanked UAE for its offer to help. It was the earlier Congress regime that decided that as a policy, no relief from abroad should be accepted. Had the NDA coalition government accepted the aid the same Congress would have attacked it for lowering the country’s selfrespect. 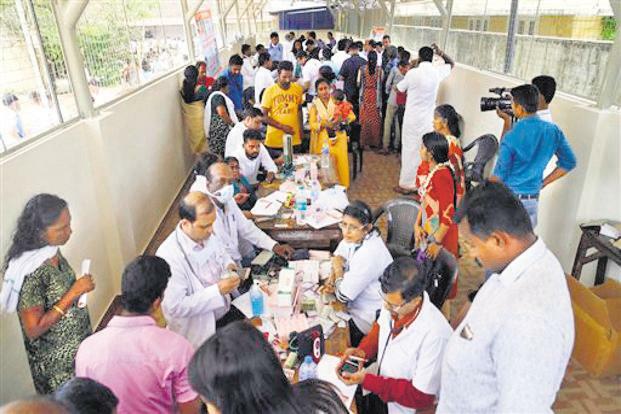 “Can Kerala government spend thousands of crores on a single day? Or will it put the money in FDs?” a Facebook post taunted. Another concluded that the Centre was anti-Kerala as it was ruled by the Communists. A Congress leader pointed out the earlier decision (not to accept foreign aid) referred only to relief and not rehabilitation. He was obviously unaware that rehabilitation comes much after rescue and relief. He also did not object to a Sikh group from Chicago, Khalsa Aid, sending relief supplies and setting up langars in Kerala – all parts of rescue and relief which, according to his party, should not be accepted. 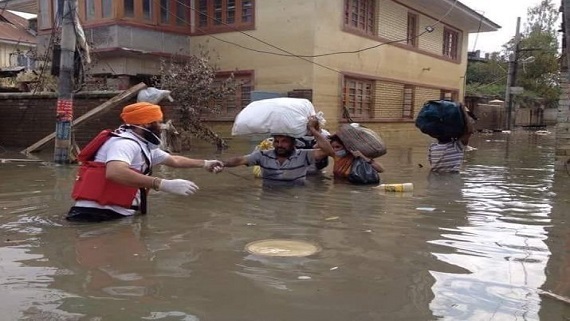 “Khalsa Aid CEO Ravi Singh told BBC that the humanitarian aid group will expand its operations in Kerala to help the distressed people,” Sikh Siyasat News reported. There was a post about a pro-RSS teacher, whose legs were cut off by the Marxists years ago, who was doing rescue work in the floods,m when he was again attacked by the Marxists and his artificial legs broken. There were also reports of the CPI-collected relief supplies being carted away by force by the Marxists to its own relief centres. When it came to relief politics the Marxists had no allies –Congress or CPI. The Chief Minister’s Office in Kerala joined the fray in attacking the Centre for rejecting the UAE aid. It also issued a statement that the controversial Shashi Tharoor, Congress MP, who was spending time in Geneva when the state that elected him to Parliament was in distress, was not the authorised spokesman of the Kerala Government when he made statements about the disaster in foreign forums and the Press. The man’s community is obvious – as was his bias. Kerala has very large number of Muslims and Christians and both the communities play a major role in the politics of that state – one reason why the BJP has not been able to make any headway there. It turned out that SRK gave only Rs.21 lakhs and that too from Meer Trust he controlled. What Salman Khan gave is still not known, but his track record is of high donations. Amitabh Bachchan gave not only Rs 51 lakhs from his own money but also sent six cartons containing closed, 40 pairs of shoes and other material. The film industry joined the rest of the country is coming to Kerala’s aid. A report said Kunal Kapoor and Randeep Hooda have been actively helping the Kerala flood victims through various crowdfunding projects. Sunny Leone donated 1200 kilograms of rice and dal for the victims. Kangana Ranaut donned Rs. 10 Lakh towards Kerala CM’s Relief Fund. Sushant Singh Rajput has been “extremely agile in supporting the victims and has gone the extra mile and donated Rs. 1 crore to the state”. Singer-songwriter A.R. Rahman paid a special tribute to the Kerala flood victims. In his recent concert in California he replaced .Mustafa‘ with Kerala in the lyrics of his famous song and also sang ‘Don’t Worry Kerala‘. Kerala Chief Minister Pinarayi Vijayan said the flood damage would be much more than the primary estimate of Rs 20,000 crore,..”Rehabilitation process of the displaced is progressing in the right direction,” he said. The chief minister rejected the Congress-led UDF opposition’s criticism of the relief and rehabilitation work. Having worked in the field of disaster relief and reduction I recollect that every time there was a major disaster in any state in the country, the Centre allotted only a fraction of what the state demanded – whichever party was in power in the two places. In fact, I had spoken at some forums on why the Press exaggerated the seriousness of the disaster and why the loss figures are always much higher than the real ones. The scaling-up is done to ensure that more come to the rescue of the affected and that the aid is stepped up. After Latur I had also warned against the affected people becoming dole-dependent and being reduced to being beggars. Kerala is one state that would never face these problems as its people have high self-respect and would never become dole-dependent. There is, perhaps, no region in India which does not have some Karaites as they are prepared to go anywhere and work hard. Kerala has enough of politics and religious rifts. What it needs is relief.